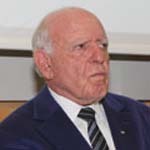 Raymond Ackerman (born March 10,1931), is a prominent South African businessman. He's a founder and owner of the Pick' n Pay chain (http://www.picknpay.co.za/home). Operations are in food, clothing, and general merchandise sectors as well as financial services. The company operates throughout South Africa, southern Africa and Australia. Raymond Ackerman lives by his philosophy "Your mission must become a passion you believe in". However, for Raymond Ackerman and his wife Wendy, business and philanthropy are intertwined. They've been very successful in business and they have also made it a point to be successful in philanthropy. By the 1970s, the Ackermans - Raymond, his wife Wendy Ackerman, and their four children -- established their first philanthropy, the "Ackerman Family Educational Trust", by donating two per cent of their personal shares to the foundation. Dividends from those shares were then allocated to fund various educational causes. Recipients of the Ackerman Family Educational Trust include roughly 60 students each year, who receive scholarships for tertiary education, and educational organizations such as the READ Educational Trust and institutions for mentally and physically handicapped people. In 1965 he was awarded as one of the first "For Outstanding Young South Africans" (FOYSA Award). In 1986 the Rhodes University conferred on him an Honorary Doctor of Law degree. In 1987 he received the Paul Harris Fellowship Award from Rotary International. In 1993 "Advertising Age International" named Raymond Ackerman as one of the "World's Top 40 Marketing Superstars". In 1994 the Argus named him "Businessman of the year" and the Herald Times awarded him "Business Achiever of the Year". In 1996 the Indian Academy of South Africa, on behalf of King Goodwill Zwelithini, honored his "Outstanding Business Leadership for Commitment to improving the quality of life in South Africa". In 1999 Lions Clubs International named him a "Melvin Jones Fellow" in recognition of his dedicated humanitarian services. The Institute of Marketing Management awarded him with the "IMM Millenium Achievement Award" in recognition of all he has done for the betterment of South Africa in so many areas. He was also chosen by the public as one of the "100 most influential South Africans to have shaped the twentieth century'" his story appearing in a textbook entitled "They Shaped our Century". During the latter half of 2001 Raymond Ackerman received the "Pioneer Award" from the SA Council of Shopping Centers for his contribution to the development of the Retail Industry. He also received a second "Paul Harris Fellow" Award from Rotary International. A "Protea Award" was awarded to him by the Association of Marketers for his public and personal service to the Marketing/Communications Industry. The Sunday Times awarded him the "Lifetime Achiever" Award. Finally, on 31 July 2008, Raymond Ackerman was honored by an award from the prestigious Woodrow Wilson Center along with Trevor Manuel, South Africa Finance Minister. 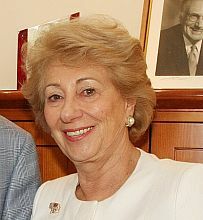 Ackerman received the Award for Corporate Citizenship. The awards were bestowed in honor of Manuel and Ackerman's respective contributions to the development of South Africa. The two are the first South African recipients of the Award. "Behind every successful man there is a… woman"
Executive Director: Pick 'n Pay Stores Ltd.; Founding Director: Pick 'n Pay Stores Ltd.; Recognized by SA Nature Foundation for outstanding achievement and contribution to environmental conservation. Acknowledged by WWF (SA) as a Diamond Custodian of Table Mountain.